I remember the first time that I logged on to Mandarin Palace Casino’s website on my PC. I was shocked as to the different platform that the casino offered when compared with many other US friendly casinos. The games were different, and everything felt extremely fresh. This was due to the fact that Mandarin Palace is powered by BetOnSoft, a firm that provides betting software solutions to casinos throughout the world. Because it is not as widely known as groups like Real Time Gaming or Playtech, the games and platform still feel fresh to new players. Thus, I was very happy when I was given the assignment of reviewing Mandarin Palace’s Android casino. To be honest, I didn’t even know the casino had a mobile presence, and was thrilled to be able to give it another fresh look. 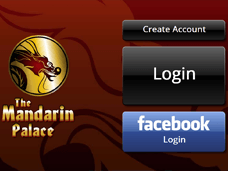 How does Mandarin Palace pan out on Android? Read on to find out. I ended up using my Samsung Galaxy Tab 10 inch tablet to pull off this review. The device is slick, and I find it more than capable of handling any casino website I throw at it. Upon heading to Mandarin Palace’s site on my Chrome browser, I was not initially taken to the mobile version of the website. I had to actually click the button to take me to that page, which really isn’t a big deal, although I would prefer to see the site instantly load to the mobile site as it does on my Android smartphone. Once I got to the mobile site, I was very happy with what I saw. The casino offers an easy way to register accounts, log in, and get ready to play some games. Because I had an existing account at Mandarin Palace, I simply had to log in to begin playing. New players will be taken through the site’s registration process, which only takes about a minute or so in order to complete. When it came time for me to re-stock my bankroll at Mandarin Palace, I ended up using my Android to deposit into the casino. Because I am American, I was only given the option to deposit with my Visa card, but players from other parts of the world will be able to deposit through Bank Wire, Giro Pay, UseMyWallet, PaySafeCard, and Ukash. Using my Android tablet to deposit was very easy, as the numbers were easily recognized and able to be quickly inputted. My deposit was instantly recognized, and I was credited and able to play within seconds. The Android experience is equal with the PC version of the casino here for sure. I have deposited to my Mandarin Palace account multiple times, and thus was not able to claim the introductory first time deposit bonus that Mandarin Palace offers Android gamblers. If you are new to the casino, you should take advantage of this signup offer if you can. When it came to playing the actual casino games at Mandarin Palace on my Android tablet, I was very pleased to find games from both Saucify and Rival Gaming developers. 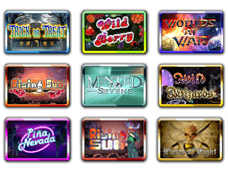 Slots play very nicely, and are some of the smoothest playing mobile slots that I have ever played on a tablet or smartphone. The best slots that I experienced during my time at Mandarin Palace include: Small Soldiers, Trick or Treat, and Legends of Greece. You should definitely check out these games if you have a chance; they are a real blast. Video poker is also available on the Android site, and plays pretty well. I can’t say that I am a big fan of these games, but they did seem to perform well enough and actually kept me playing for about 15 minutes or so (which is about 15 minutes longer than I normally play them). A big disappointment for me in terms of Mandarin Palace’s Android offering is the lack of table games. There are literally no mobile table games in the casino’s library, which is a real bummer for me as I absolutely love blackjack. With as great as the rest of their Android site is, I need to see table games on mobile. Please bring these along, Mandarin Palace! After a few days of playing Mandarin Palace on my tablet, I ended up deciding to withdraw the funds. I was given several options to choose while on my Android, all of which were pretty enticing to me. The options were: Check by Fedex, Check by Mail, Bank Transfer, and Payment to Credit Card. With all things being equal, I would normally take the Wire, but the fastest option is actually the Check by Fedex, which gets to you within a few days. I took the Fedex Check option. If you are outside of the US, you can also get funds through Skrill, EcoCard, and Ukash. My check ended up reaching me in four business days, and ended up clearing into my bank account with no issues whatsoever. The whole banking process is very smooth at Mandarin Palace, and I was able to complete the whole process on my tablet. If you haven’t played here though, you may have to take to your PC to upload identity documents. Don’t worry though, as it is all standard procedure to make sure you really are who you say you are. Overall, I feel that Mandarin Palace is a very good Android compatible casino that offers a different experience from many other mobile casinos out there. The games are fresh and fun, but they definitely need table games added to the library. Banking and customer support are awesome though, and you will get a great group of bonus opportunities when you register an account here.